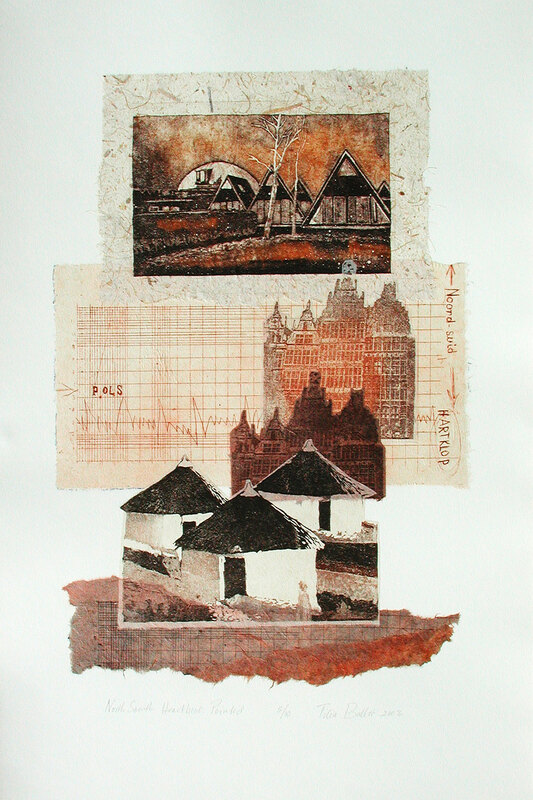 An invitation by the Flemish South African Cultural Foundation to exhibit in Belgium during 1994 marked the beginning of my participation in a number of international collaborative projects and exhibitions in Belgium and Germany. 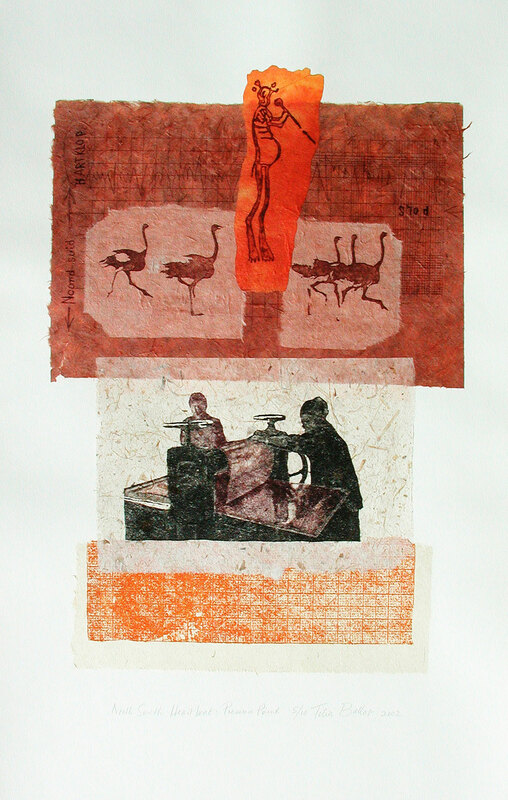 Two residencies at the Frans Masereel Centre for Printmaking further reconfirmed my notion of living on a cultural boundary between Europe (north) and Africa (south). 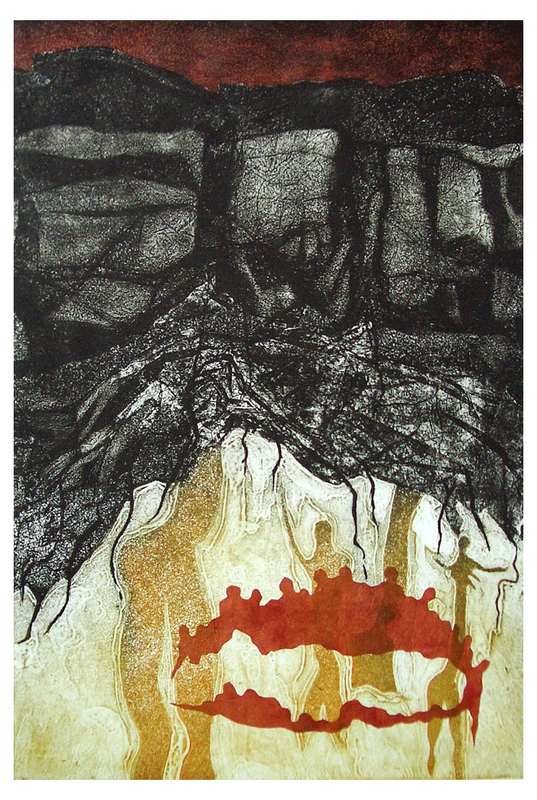 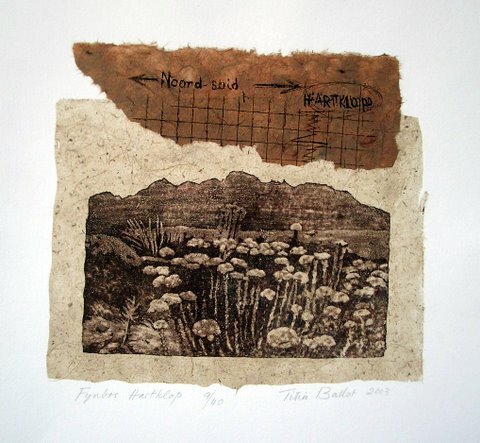 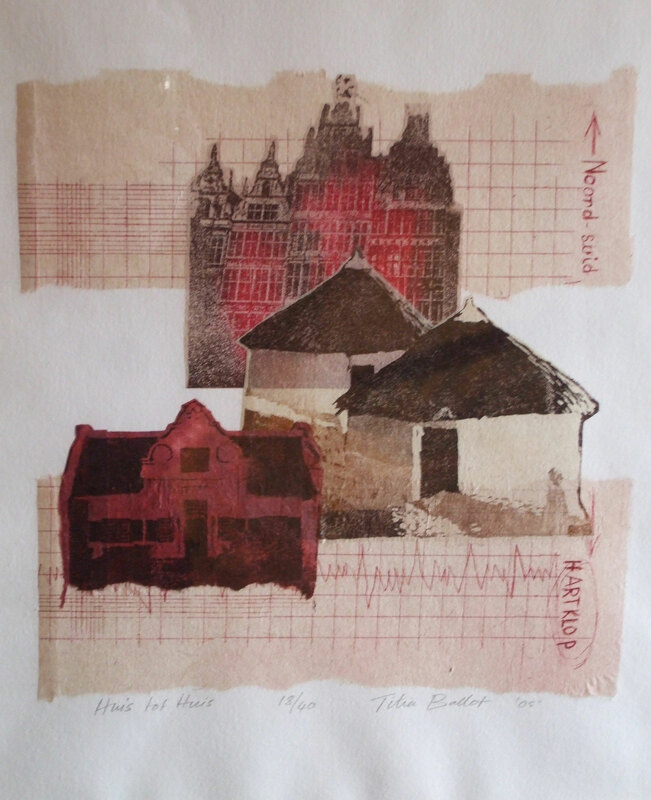 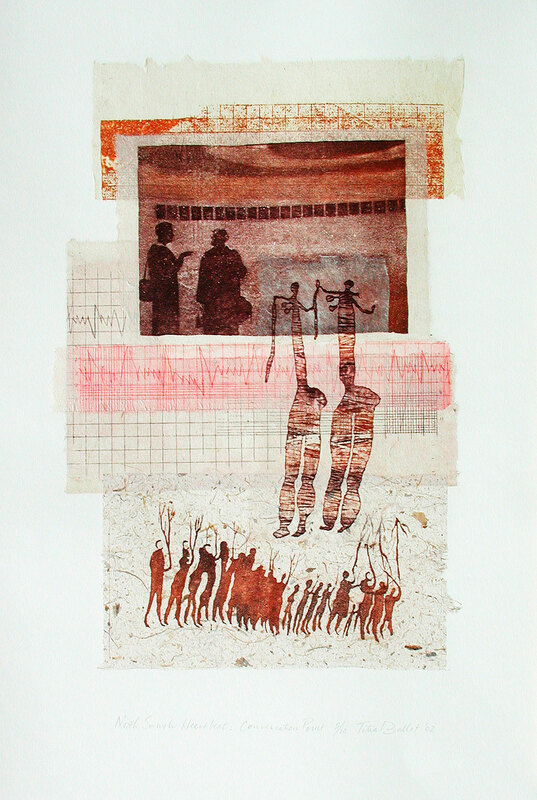 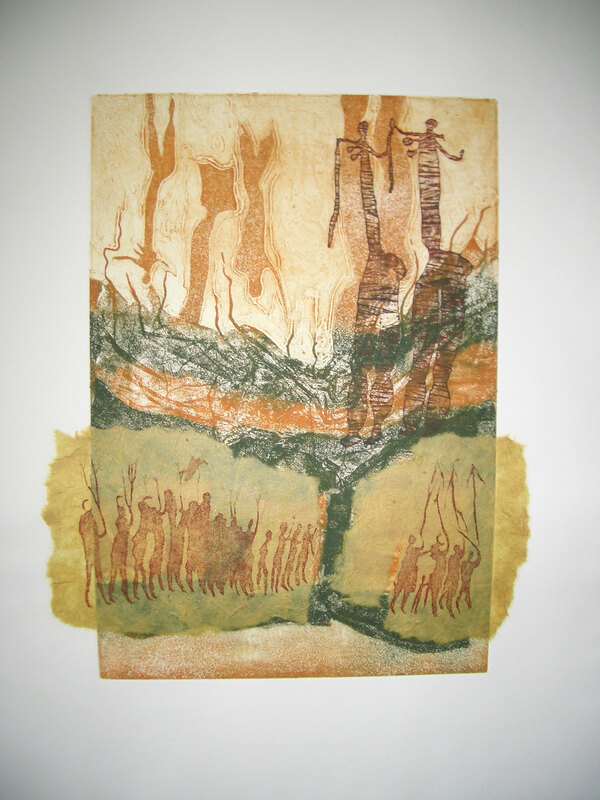 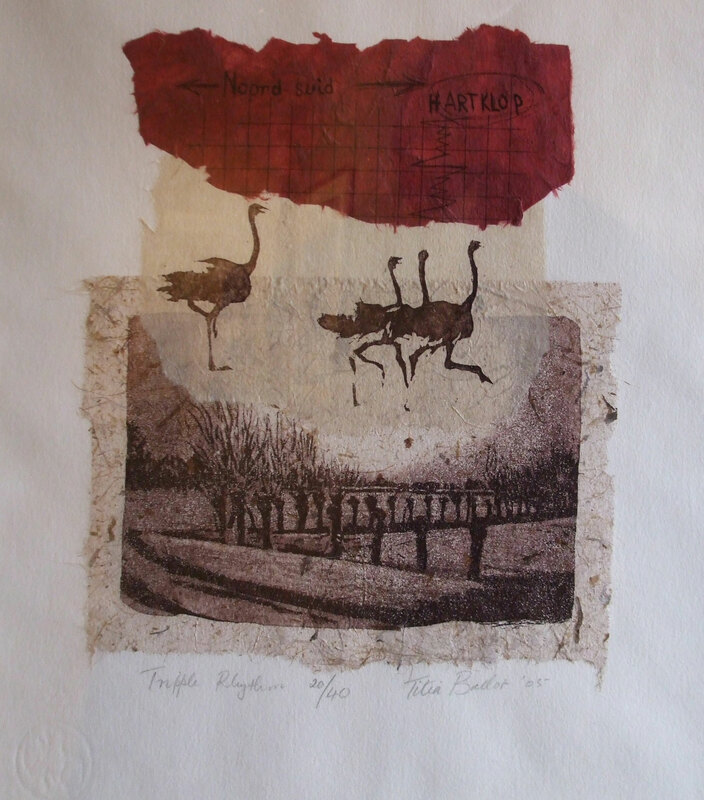 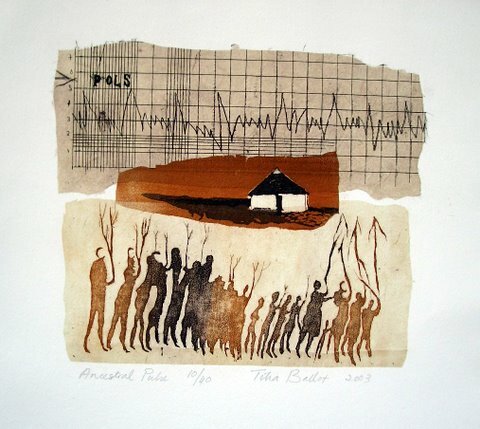 A series of collage etchings titled North-South Heartbeat (2002-5), combining images from both continents with the Electro-cardiogram of a beating heart, originated after these experiences.